Take a Tour! 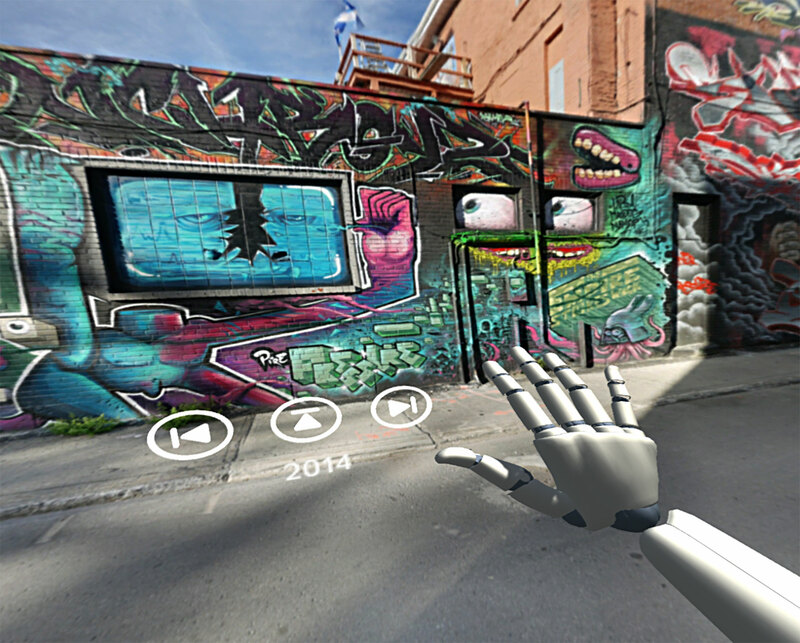 offers a virtual tour of downtown Montreal and documents the beauty of the city streets by archiving Montreal's murals and street art. The subject of the experience can use his/her hands -with the dK2 and the Leap Motion- or gaze at targets -with the samsung GearVR- to activate buttons in order to navigate in the city. Enjoy!